Meaning: Be on your guard against treachery. This could refer to Ivan being a spy, though his cover was already blown. More likely than that, a traitor close to the heroes is revealed – if not to heroes yet then to the audience. *cough*Maverick*cough* (That’s just our speculation.) Aki thinks that another option could be the Ouroboros manipulating Ivan to do something he normally wouldn’t do. This is a quote from William Pitt (1759 – 1806) and the full version goes “Confidence is a plant of slow growth in an aged heart.” If we ignore the last part that the episode title omitted, this could refer to Ivan and his self-esteem issues. Or, it could even refer to Kotetsu starting to trust Barnaby more (we still hope he’ll take some blows for Lil’ Bunny, just not too hard ones). Meaning: A person in love does not see the faults of the person he/she loves. This originates from William Shakespeare’s plays. Although I’m really damn tempted to toot my TxB shipper horn, this is probably just Sunrise trolling and what it actually references in the episode is something totally different. We’ll see… It’s also possible it refers to Kriem’s blind devotion toward Jake. Meaning: There is no apparent limit. This saying has most likely originated in the USA around 100 years ago, and it may have been influenced by the invention of airplanes. I think it’s safe to assume that this episode will be about Sky High, which is about time! Hands up, and hands up again who loves our back alley moeblob!Keith! Hands up, and hands up again! Awww me loves you, cute little bunny! Congratulations!! I think these are the closer explanations for the titles. I’m Italian, so Latin and the reference to Alea iacta est has touched me a lot. You’re great!!! …Also, I read all of these in Kotetsu’s fail-engrish voice. 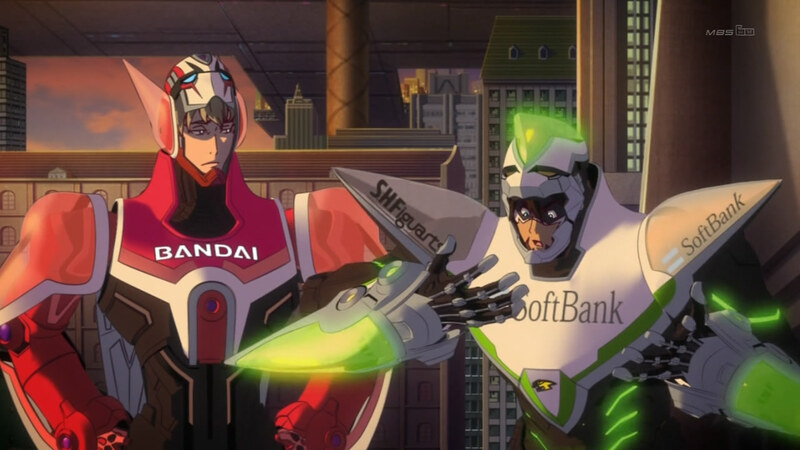 I don’t think there’s much about Tiger&Bunny that’s really arbitrary. The more we watch it the more it seems that every detail’s been carefully thought out. Totally speculating here but ep.14 could instead refer to the civilians’ acceptance of Lunatic. If he kills Jake and takes the spotlight, more people would side with him and fail to see he is also a murderer. Killing Jake off already in episode 14 feels too soon. Besides, he seems pretty strong if you think of how he killed the other inmate on his way out of the prison. But I think it is possible that the title has something to do with Lunatic if he does things to get the public to side with him. I think that, in addition to what you’ve already mentioned, “There is always a next time” may also refer to Barnaby. Starting in episode 6 up until this episode we see him kind of losing it and running off full-steam after Lunatic as a potential lead on Ouroboros. Kotetsu taking the bullet for him at the end of episode 8, however, seems to give him a bit of a reality check, and while he’s still clearly pursuing it in subsequent episodes he seems to be pacing himself better – having accepted, to some degree, that while he lost his chance on a lead this time, it’s not the end of the world and there will be other opportunities. That’s a really good notion, thanks! We were pretty focused on how well the title suited what happened to Ivan in the episode so we didn’t think it from this angle. This might be late but for “Many a true word is spoken in jest”, there’s two truths that come out by accident here. Kotetsu is made by Agnes to say in the interview that, while it may not seem so, he and Barnaby have a lot in common (which turns out later to be true), but you have to watch the post-credits pre-preview moment for that. He also tells Barnaby, somewhat sarcastically, ‘you don’t have any friends, do you?’ when Barnaby’s snappy about being kept waiting for three minutes, which is also true (though sad).